I love Xiaomi. Not only their products are a bang for the buck, the company also cares about product quality and looks. I already have a Mi 5, a Mi Pad and Mi In-ear Pro HD headphones and pretty satisfied for what I've spent. 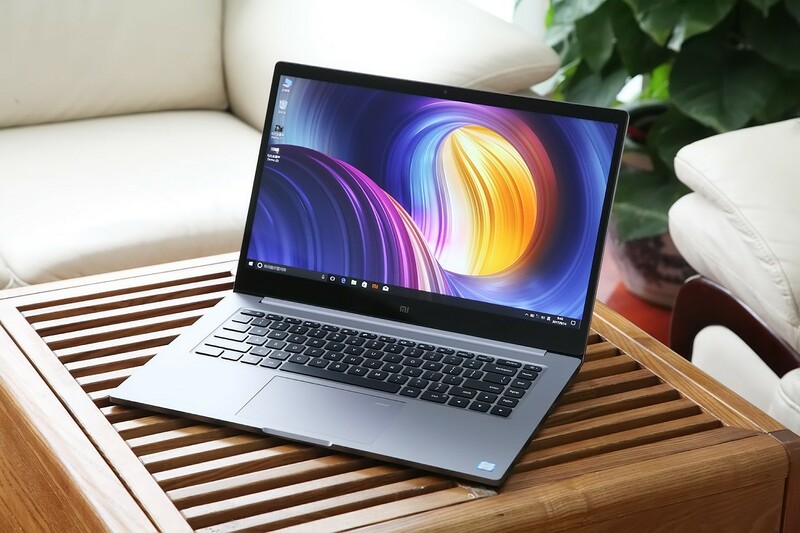 Then Xiaomi unveiled its first laptop, Mi Notebook Air 13.3". I was in love with this device the moment I saw the first hands-on videos. But sadly, Xiaomi didn't launch it in India. For the love of Xiaomi products, I did a gamble and ordered it from Aliexpress. Guess what? I was getting a really sweet deal too. For ₹46000, it was the cheapest quotation for that laptop. I ordered it. The payment was made. Seller processed and dispatched the order through DHL. It got shipped within 2 days from Hong Kong to New Delhi. I was excited. I had a prescience of how things usually get slowed down at the customs, so I didn't worry much and I was ready to pay the customs duty which I expected to be around 14% as calculated on Duty Calculator. A day after it arrived at the customs, I received an email from a DHL representative and then the horror started. "Customs has held your shipment for value assessment" it said. I asked for an invoice from the seller and then I got the biggest shock. The stupid guy undervalued the product from $719 to $189 and labelled it as Tablet01, and he had put the exact same invoice on the package. HE DID ALL OF THIS WITHOUT ME TELLING HIM TO! Somewhere back on my head I knew things will not go smooth hereafter but I remained optimistic. But, when the DHL guy asked for the proof of the value, I was dumbfounded and I really didn't know what to do. The only proof I had was the screenshot of the order page and the bank record of the transaction with Aliexpress. After forwarding those screenshots to the DHL guy, soon I got a call from him and, let me tell you clearly, it wasn't good at all. At first, he asked what the package was and for how much did I bought it. I replied honestly. He was flustered and stunned after looking at the difference between the valuation. It was too much. I begged and pleaded him as this was the very first time I was importing a high value product and I knew nothing about what the seller did until I got the email from DHL. He asked me to write a letter to the customs office stating that the value assessment should be done by the customs officer and also asked me to state the purpose of the product. Value Assessment: What value assessment means is, the customs officer will check the product and look for the market price and value it accordingly. I was also told that this is a legal offence and can attract a nominal fine. I was battling at two fronts: DHL and customs at one side and seller and Aliexpress on the other. In the anger and frustration, I lambasted the seller for doing such a stupid act without my consent. I was persistently pushing Aliexpress to look into this sticky situation for which they insisted to open a Dispute. Buyer Protection Period: When a customer makes a purchase, he/she is entitled for a Buyer Protection Period usually lasting 60 days from the time seller processes the order. When a purchase is made, the amount is still with Aliexpress. This period can end prematurely if the customer cancels or receives the order. Once this period ends, Aliexpress forwards the payment (if the order is not cancelled) to the seller and the order is completed. Thus, all refunds and returns should be initiated within this period. Dispute: On Aliexpress, when there are some disagreements or dissatisfaction over a deal, the buyer has the right to open a Dispute with the seller. Buyer can open a Dispute only during the Buyer Protection Period. It's a two way process involving the buyer and seller wherein each party puts forward a proposal on the order. Proposal can either be a Return of Goods or Refund (partial or full). Either party can accept or reject a proposal. If no conclusion is reached, Aliexpress intervenes. Apparently, Aliexpress puts the customer before anything else which puts the sellers' reputation and sales at the mercy of the customer. Just when I felt that the situation was in control, I underestimated our own legal system. Hell was going to break loose. The DHL guy called me up to give me another round of horror. Since I was importing this product for personal use (and I didn't do my homework properly), I was charged with a 41.49% duty! It doesn't end here. The customs officer did his homework and valued the product to ₹60000 and applied a 41.49% duty on that amount. If this wasn't enough, I was eligible for a penalty for undervaluation, which the DHL guy said, is up to the officer to decide the amount which usually is around ₹5000. I was seriously done now. According to my homework, the duty was supposed to be 14%. But, f*ck my luck. Just a few months back, the customs had changed the duty tariff for products intended for personal use to a fixed 41.49%. I can't pay this much duty. I was prepared for 14% not 42%. It would be a wiser choice to return it and cancel the order. In another desperate effort, I asked the DHL guy how viable returning the goods was. Not an encouraging reply though. I would still have to pay the penalty and shipping fees which would come at around ₹10000. I had two options - send the laptop back and get a probably full refund ("probably" is more important as refund amount is determined by the seller depending upon the condition of the product when it reaches to him) but lose ₹10000 for no reason or rather ask the seller to pay for the extra customs duty and the penalty as this entire shambolic muss was a result of his stupidity. The latter option got my vote as somewhere deep down inside, I was still longing for that laptop. So, it was decided. I was told to write a letter stating that I would like to clear the shipment and duty and penalty should be charged accordingly. Despite SpeedPostTM, it took almost 2 days for the letter to reach the customs office in Delhi (I stay in Mumbai, by the way). Patiently, I waited for the clearance. This was going way out of control. I chastised the DHL guy on the email as he had given me an estimate of ₹5000 for the penalty earlier. I bashed the DHL customer service on phone. I loathed the seller for his dickhead undervaluation move which he did without even asking me and without which this wouldn't have happened and I would be comfortably using my laptop by now. I simply couldn't be mollified. I was frustrated beyond anything. So much trouble just to get this one laptop delivered home and yet it hits me back everytime. I asked for a proof for these extravagant charges. Again I was reminded that you should never EVER underestimate the legal system. I was given an official letter stating the places where this shipment broke the law. THAT WAS IN MY FACE! There were two different penalties involved here under the Customs Act of 1962. Section 114AA: False declaration of the product attracting a fine of ₹10000. I was quick enough to open the dispute and raise the refund amount to $385 (Rs. 20000 penalty and Rs. 5895 difference in the customs duty because of overvaluation). Meanwhile, I asked the DHL guy to proceed with the clearance procedure as nothing could be done on my side and I didn't want any further delays on this already messed up order. I had my mind fixed now. Either I am losing my ₹46000 if the refund doesn't happen, or I am getting this laptop for ₹65000. With no options left, I decided to contact seller and asked for a partial refund of $385. The next morning, I woke up and saw a notification on my phone. I received a message from the seller. Okay, fine, it said. The dispute was resolved and seller accepted my proposal of refunding the penalty and extra duty. I couldn't believe my eyes! It happened, finally! Three days later, the package got cleared by the customs and it finally received at my doorstep within a day. DHL charged ₹1800 as clearance charge and demurrage, which, at this point, I was not in a state to question and just let it through. The laptop was in the perfect condition. Packaging was opened and the seal was broken with a Opened and cleared by customs sticker on it. The same day, I got my ₹25436 refunded in the account. I'm finishing this article on my Mi Notebook Air. ALWAYS GET THE CORRECT INVOICE WITH THE PACKAGE! I cannot stress enough on this single point. It's risky and against the law and you might end up in a legal mess if it goes out of hand. Do your homework. Perhaps, the biggest shock for me was the 41.49% duty that I was charged with. Always, check with the latest duty prices for your product and use. Make a commercial order instead. If I would have ordered it on behalf of my company for commercial uses, perhaps the duty would not have been so harsh. Usually, import duties are higher for products meant for personal consumption than for commercial. Be honest. Don't assume that the people at the customs are fools. They know everything. If I would not have been honest at the time of clearance, it would have exacerbated the entire process, and perhaps would have even lead to confiscation and a much hefty penalty. The customs officer did open the package to check the product inside. Prefer local purchases. If the product you want to buy is available locally, then I would recommend that you don't go for overseas options (unless it costs less even after levying customs duty). Be communicative and polite. It turned out that the seller was a pretty nice person and was quite polite. In fact, in the last few days, I felt pretty bad for him as he was refunding his precious $385. But, it would not have happened if I would have just bashed him left, right and center. Same goes for the DHL guy. We need to understand that, at times, getting angry and tossing your frustration over the other person makes things worse. People are already troubled with their daily problems and they too are humans after all. Be polite and nice. Put yourself into their shoes and question yourself, whom would you prefer to deal with - a bad tempered, foul mouthed person or an understanding and polite one. With this purchase, I completed my Xiaomi collection - Mi 5, Mi Pad, Mi In-ear Pro HD and, the newest addition, Mi Notebook Air 13.3.